In his latest space venture, Jeff Bezos plans to establish 3,236 satellites that will provide high-speed internet access to people around the world. Details of the plans were first reported by Geekwire, and based on filings with the International Telecommunications Union. The ITU oversees global telecom satellite operations and eventually will have to sign off on Kuiper’s constellation, the website reported. 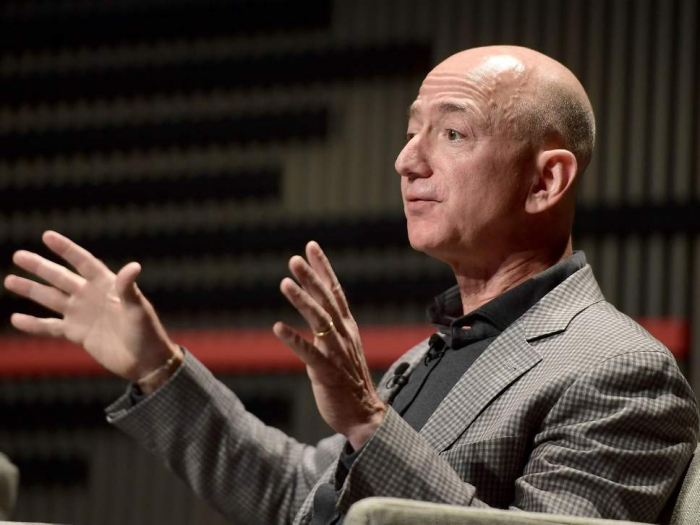 “Project Kuiper is a new initiative to launch a constellation of low Earth orbit satellites that will provide low-latency, high-speed broadband connectivity to unserved and underserved communities around the world,” Amazon said in a statement. Mr Bezos is already spending $1bn on his Blue Origin space project, something on which he is cooperating with the US military. CNBC said Amazon was joining several other major players already seeking to provide the next-generation broadband service from space. Elon Musk’s SpaceX launched two test satellites for its “Starlink” network last year, the first step towards its goal of a constellation of 4,425 satellites. Last month, Softbank-backed OneWeb launched the first six satellites of its network, which the company plans to grow into a constellation of 650 interconnected satellites. Seattle-based Boeing, and Canadian operator Telesat, have also revealed plans for high speed internet constellations. The news came on the day that details emerged about Mr Bezos’ divorce settlement with MacKenzie Bezos, an arrangement that will give her $35bn and make her the third richest woman in the world.